February is shaping up to be an exciting month for the viewers of MTV Beats the 24/7 Hindi Music TV channel with a new show line up of specially curated concepts, which will be all about love and romance. 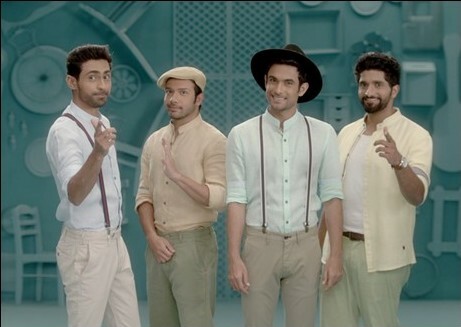 Bringing alive its promise of providing an intense musical indulgence, MTV Beats brings the mellifluous four member band Sanam on air, all this month. 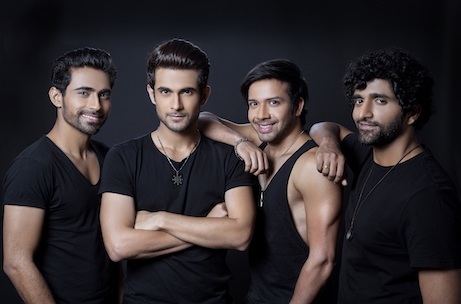 On MTV Beats ‘Spotlight’, a special launch of the band’s latest original composition Sanam Mennu to the launch of Dil Beats, a brand-new show curated and hosted by Sanam, airing 10am every Wednesday. The band made their debut marking Valentine’s day on 14th February, and the show revolves around romance and its various nuances. As well as watching SANAM on MTV Beats, viewers can expect other highlights such as spending your Saturdays singing Karaoke songs along with the YouTube sensation, Sahil Khattar only on ‘Gaano Ka Rafu Center 2.0’ which is a talk show with, and about, musicians as guests are going to discuss nothing but Music! The anchor, actor and comedian will play the character of No No Money Singh. The second edition of the show will kick off with Sanam Band and will focus only on musicians, singers, composers and lyricists as guests across the country. The Fab Four will be the center of attention on the channel through the Month of Love. So, stay tuned to MTV Beats – Music Ka Baap and immerse into a sea of music this February! 15 queries in 0.474 seconds.